Taipei, Jan. 22 (CNA) A magnitude 4.8 earthquake jolted eastern Taiwan at 11:19 a.m. Tuesday, according to the Central Weather Bureau (CWB). 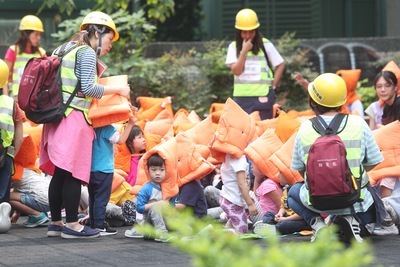 The epicenter of the quake was located at sea about 63.4 kilometers southeast of Taitung County Hall at a depth of 20.9 km, the bureau's Seismology Center said. The earthquake's intensity, which gauges the actual effect of a temblor, was highest in Orchid Island, Taitung, where it measured 5 on Taiwan's 7-tier intensity scale. Shizi Township in Pingtung County also recorded an intensity of 3.